If you are seeking a legendary saxman steeped in the traditions of R&B, Blues, and Rock ‘n’ Roll, you have come to the right place. 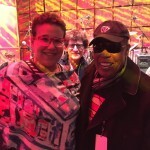 Crispin Cioe is a renowned music director, saxophonist, composer, and songwriter who has played and recorded with James Brown, the Rolling Stones, Solomon Burke, Tom Waits, Ray Charles and the Ohio Players, among others. Crispin has played on more than 400 albums. As a co-founding member of the legendary horn section The Uptown Horns, Crispin Cioe has been inducted into the Blues Hall of Fame in NYC. 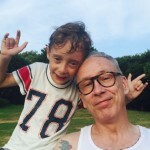 In addition, Crispin is featured in Westport Rocks! The Greatest Stories Ever Told, which counts him among Connecticut’s most gifted musicians. 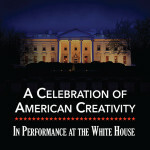 Crispin Cioe serves as Music Director for In Performance At The White House: A Celebration of American Creativity. Taped before a live audience in the East Room of the White House with the President and First Lady in the front row, the show commemorates the 50th anniversary of the National Endowment for the Arts. Crispin leads a stellar band in an Americana-tinged tribute that includes performances by James Taylor, Keb ‘Mo, Buddy Guy, Esperanza Spalding, Carol Burnett, Queen Latifah, Smokey Robinson, MC Lyte, Usher, Brian Stokes Mitchell, Audra MacDonald, Trombone Shorty, and Smokey Robinson. In Performance at the White House: A Celebration of American Creativity debuted nationally on PBS stations Jan 8, 2016 at 9/8c (Check local listings for future airings, or watch online at pbs.org). Crispin Cioe serves as Music director of the 2015 Mark Twain Prize honoring Eddie Murphy. Chris Rock, Dave Chappelle, Kathy Griffin, Arsenio Hall, and a dynamic vocal duet by soul man Sam Moore and Brittany Howard (from Alabama Shakes) are among the performers who saluted Eddie Murphy with the 2015 Kennedy Center Mark Twain Prize for American Humor, taped in front of a packed house at the Kennedy Center in Washington, DC on Sunday, October 18 at 8 pm. Eddie Murphy: The Kennedy Center Mark Twain Prize debuts nationally on PBS stations Monday, November 23 at 9/8c (Check local listings). 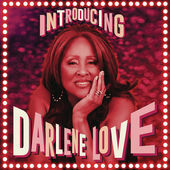 Throughout 2015, Crispin worked steadily with r&b diva Darlene Love and producer Steven Van Zandt toward the release and launch of her debut album, “Introducing Darlene Love”, which finally drops on Sept. 18, along with an extravaganza kickoff performance at the Paramount Theatre in Asbury Park, NJ with a 60-piece ensemble on Sept. 12, followed by performances at the Grammy Theatre in Los Angeles and the Whiskey A Go Go on Sept. 18 and 20. And click here to watch the video from the album’s first single, “Forbidden Nights” (written by Elvis Costello). The PBS “Kennedy Center Mark Twain Prize for Humor, Celebrating Jay Leno” debuts on PBS stations nationally Sunday, November 23, 2014. Once again Crispin serves as musical director for the cherished television event. This year, guest celebrants include Jimmy Fallon, Jerry Seinfeld, Garth Hudson, Kristin Chenoweth, Chelsea Handler, Wanda Sykes, and Kevin Eubanks. 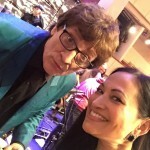 The show was taped live in front of a sold-out house at the Kennedy Center, with Crispin will be onstage composing, arranging and conducting an all-star version of his band Cracked Ice for the event. This summer/fall, Crispin has been hard at work with producer Steven Van Zandt recording a new album for Rock & Roll Hall of Famer Darlene Love, as a solo saxist and with the Uptown Horns. The album will reportedly feature new songs by Van Zandt, Elvis Costello, Carole King, Bruce Springsteen and others — all written expressly for Ms. Love’s new project. 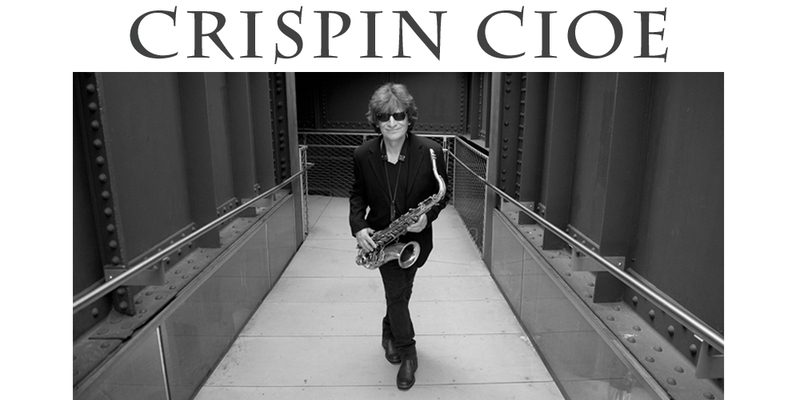 Crispin also continues to perform live with Darlene Love, who is featured in the 2014 Academy Award-winning documentary “20 Feet From Stardom”, and is drawing record crowds to her live shows around the nation! 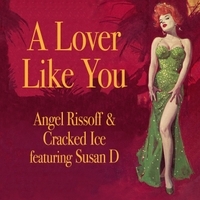 Crispin has been co-writing/producing new songs with Angel Rissoff and Seth Glassman, and in August, they released their first single as a production team, “A Lover Like You”, by Angel Rissoff & Cracked Ice (feat. Susan D.), which has already garnered airplay and charted on the Beach Music scene in the Carolinas. Angel continues to perform with Crispin’s band Cracked Ice in the Northeast. 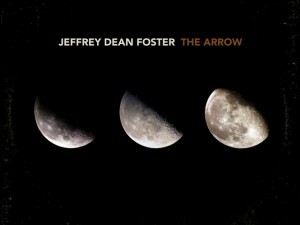 Over the past few months, Crispin has arranged and recorded horns and sax solos at his studio, SaxOn Sound, for new albums by Jeffrey Dean Foster, Brett Harris, Colman Gota, A Fragile Tomorrow, and Chris Stamey. 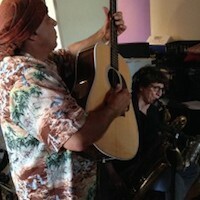 And working with the Uptown Horns earlier this year, Crispin recorded a new album for the San Francisco-based Jeff Jolly Band. 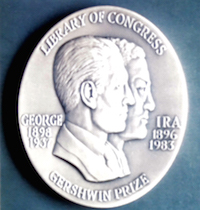 May, 2013: Crispin served as Co-Musical Director (with longtime colleague Robbie Kondor) for the “2013 Library of Congress Gershwin Prize for Popular Song”. This year it honors Carole King, in a star-studded tribute taped live from the East Room of the White House, with President Obama and his family in attendance. Guests artists include King, James Taylor, Billy Joel, Trisha Yearwood, Gloria Estefan, Emeli Sande, and Jesse McCartney. The program debuted on PBS stations nationally Tuesday, May 28, 8pm EST, check local listings for rebroadcasts ( or see the full concert at pbs.org ). Summer, 2013 – Crispin Cioe, Bob Funk, Arno Hecht, & Larry Etkin — the Uptown Horns — were each inducted into the Blues Hall of Fame in NYC. Willy DeVille documentary – In production: “Heaven Stood Still”, a documentary feature film about the life and music of Willy DeVille, founder of the band Mink DeVille, has begun production (including filmed interviews with Peter Wolf, Ben E. King, Al Kooper, Wayne Kramer, and Christine Ohlman, with more to follow). Crispin is co-producing the film with director Larry Locke ( larrylockefilms.com ). Crispin w/ Darlene Love on "The View"
A REMEMBRANCE OF GIGS PAST . 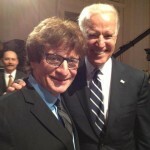 . .
Crispin & "The Mark Twain Prize honoring Jay Leno"
If VP Joe Biden Had My Hair . 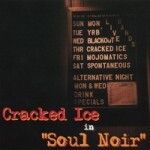 . .
Cracked Ice’s latest release, Soul Noir, is retro-nuevo soul/r&b, like soul classics, only brand new ones you’ve never heard before! 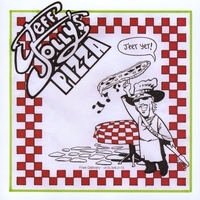 Available for listening and purchase at cdbaby.com and for download at iTunes.